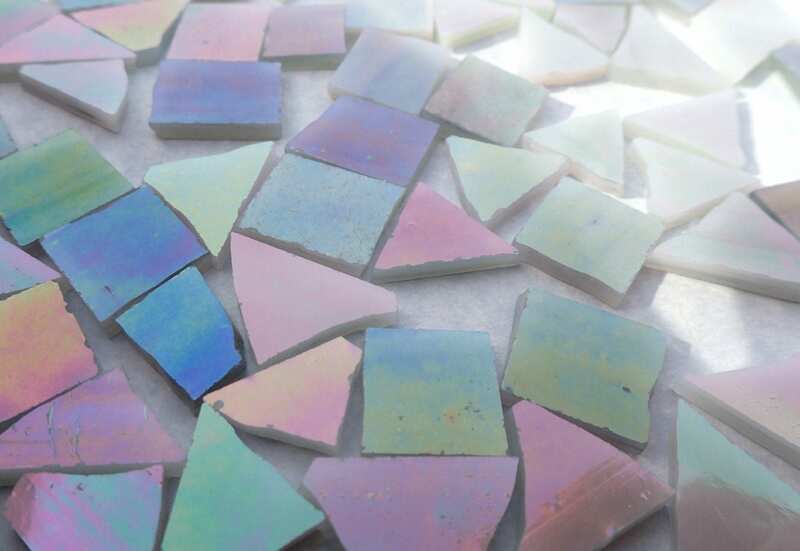 These are gray iridescent stained glass tiles. 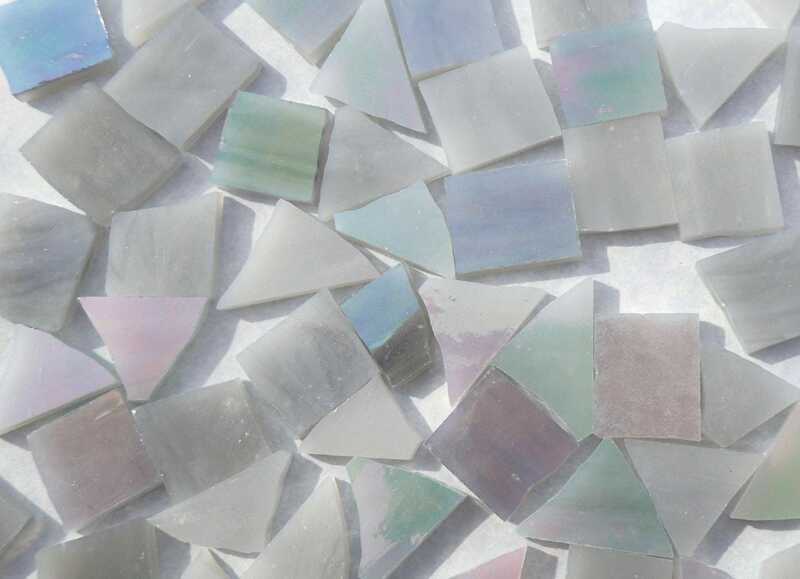 The glass itself is opaque streaky gray and one side has an irridescent coating, creating lots of color variations. 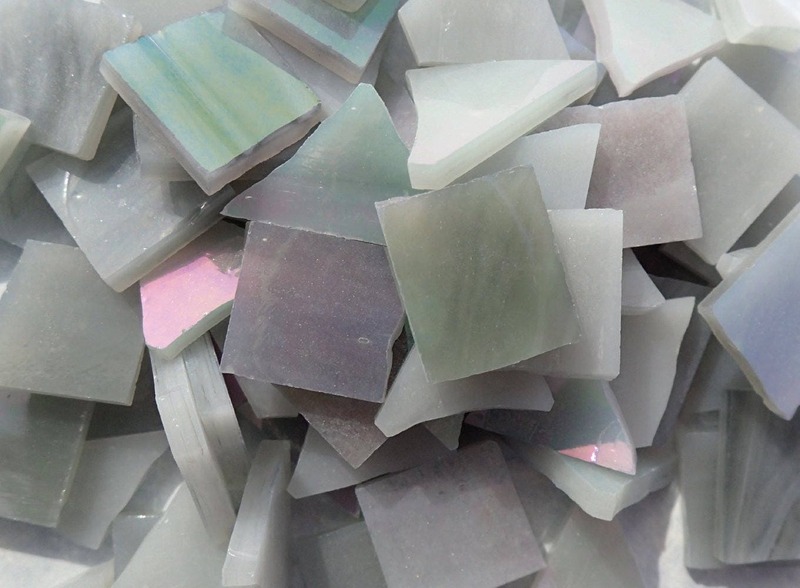 It looks a bit like a gemstone. 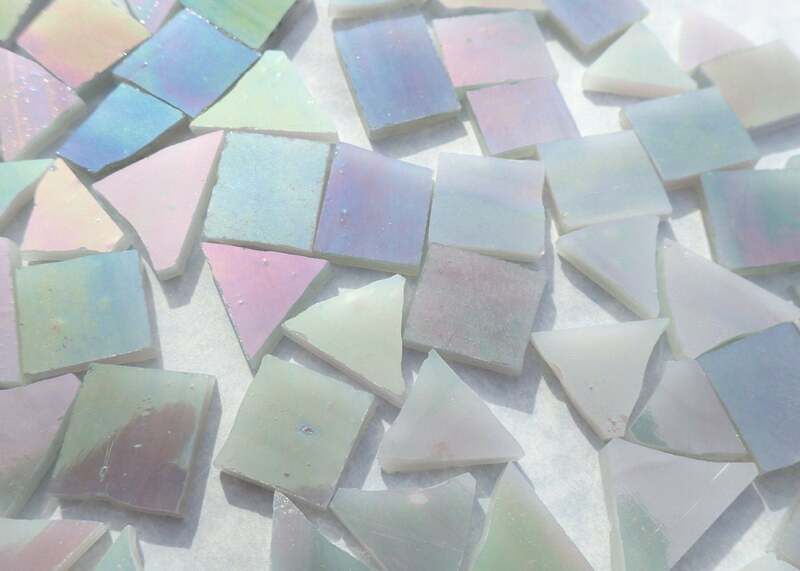 These glass tiles have been hand nipped into assorted shapes. They range in size from 1/5"- 3/5" (5-15mm) and can be used whole, or nipped with tile nippers. 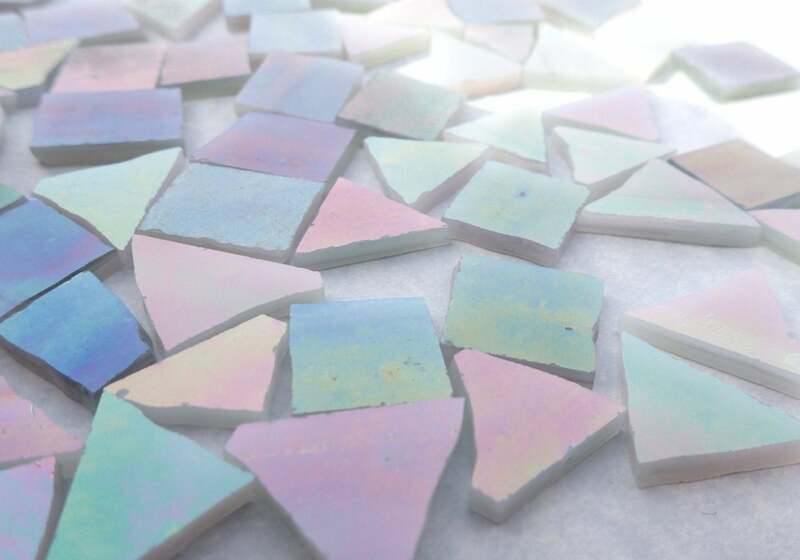 Since the size of the tiles vary, the number of tiles in a half pound will also vary. 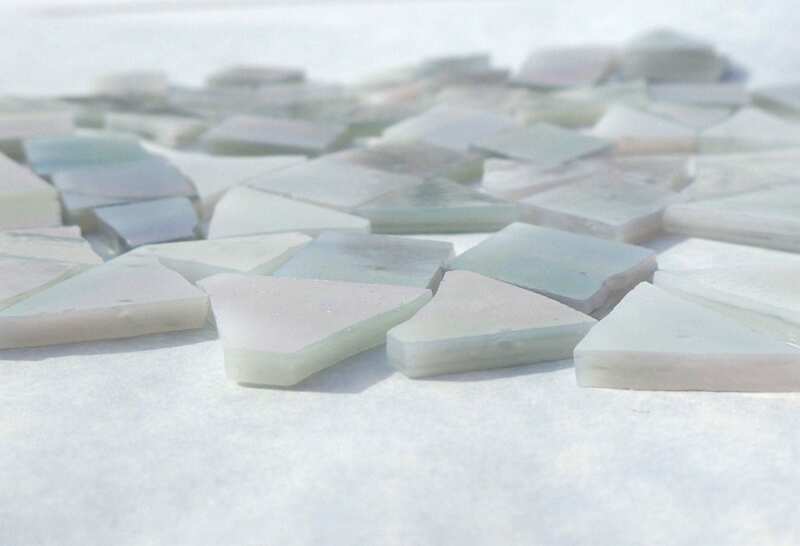 But there are approximately 115-125 pieces in a half pound and will cover approximately 65 square inches. 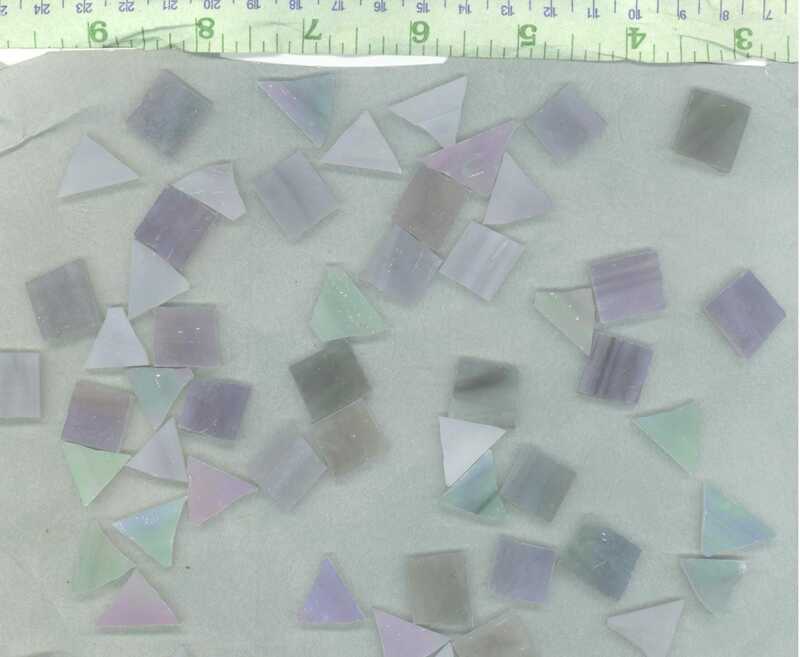 These are 1/8" (3mm) thick.